S.A. Dynasty Forwarding department gathers one of the largest teams of specialists in the region. 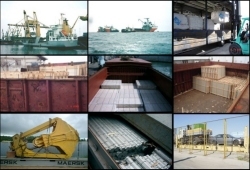 Possessing a vast experience in the field, the company has been entrusted a variety of cargo-flows like steels (debars, wire rod in coils, steel plates, flat & round bars, T & L – bars), bananas, gypsum boards, chipboards, gypsum plaster, liquid and dry bulk cargoes, IMO cargoes, heavy parcels etc. Our main asset is the generation of ideas taking into consideration every specific situation, business and Client. This makes us a preferred forwarder, shipbroker and agent at Bourgas ports.